Whether you’ve got a smart home hub or the latest music system in your home, it’s no surprise that the number of us Brits investing in advanced home technology is on the rise. According to Legal & General, UK consumers will spend a whopping £10.8 billion on smart home technology in 2019, and it’s no surprise with all these modern adaptations we can now make to our home! 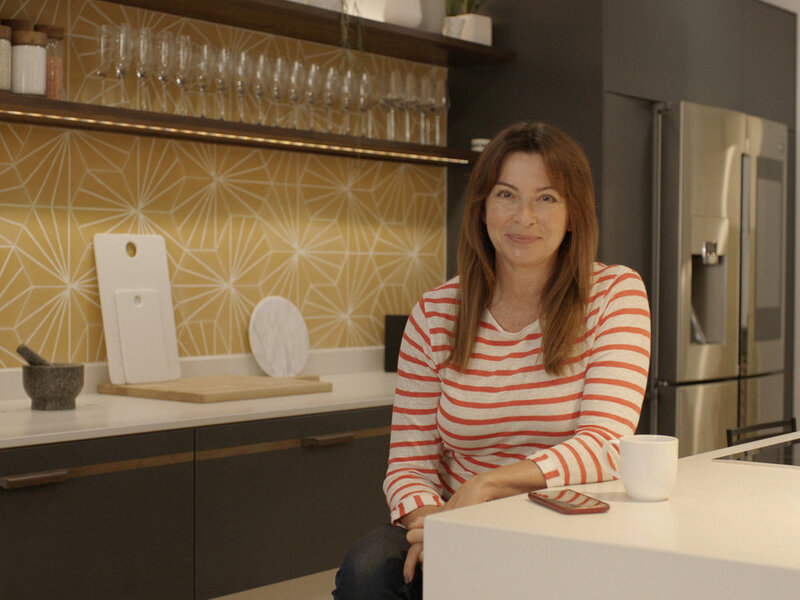 Their new video series starring TV presenter Suzi Perry takes us through all the ways we’ll be able to use this smart technology in our everyday lives. With all the latest devices piling up, a smart home security system is a must! Thanks to smart technology, it’s becoming increasingly easy for us to ensure our homes are as secure as possible, keeping our gadgets and gizmos safe and sound from intruders. Gone are the days of loved ones accidentally setting off the alarm when they don’t know the alarm code or being woken up to the loud sound of the alarm when it’s just the neighbour’s cat lurking around at night. Clever cameras can now be installed in and around the house that are able to recognise faces, only notifying you if an intruder has an unrecognisable face. Any strangers caught on your property would cause an alert to be sent to your phone to allow you to see who it is. All this smart technology is fantastic, but it’s only worth having if you’re able to make the most of it by linking all the smart technology in the home together to make life easy. The, If This Then That, app does just that and allows you to link all the smart technology in the house together. This means that no matter where you are in the home, as long as you have your phone with you, you’ll be notified of all the goings on in and around the house, so if your oven timer goes off whilst you’re upstairs or the dog starts helping itself to the dinner, motion sensors will send you a notification so you can act upon it, just like having eyes in the back of your head! There’s nothing worse than that dreaded worry of whether or not you turned everything off before you leave for your break. With all your apps connected, you’ll be able to check all those things at the switch of a button, turning off all music, lights and appliances in one. Home security while on holiday is also a concern, especially if people know your home is probably empty. 12.6 per cent of Brits currently own smart home security and 10.4 per cent currently own a smart doorbell. With a video doorbell, you’re able to answer the door wherever you are from your mobile phone so visitors will not only think you’re in but are able to talk to you. One of the worst things that can happen to your home is fire and water damage. Now, smart appliances and alarms can alert you with texts as soon as there are signs of a leak in a machine, minimising the results of a leak so you can find help as soon as possible. It also works with smart smoke and Carbon Monoxide detectors that not only sound a loud alarm and send you texts but when connected to the lighting in your home, will turn them all red to notify you of an emergency. This is just the start of how we can expect our homes to change in the next twenty years or so, with a huge demand for electric, driverless cars plus gadgets to produce sustainable energy. We can’t wait for all these smart adaptations to reach most homes to add extra security, safety, simplicity and ease to our everyday lives. There’s more technology news in every issue of Yours magazine, out every fortnight on a Tuesday. Is screen time damaging to children?